Share the post "Student Loan Borrowers Have Options During the Shutdown"
Federal courts are running out of money and are going to start severely curtailing operations and furloughing thousands of workers. SNAP benefits – which provide food stamps to millions of people across the country – may cease within a month or so. Farmers won’t be able to obtain loans to purchase supplies. And nonprofits dependent on federal grant money to support social service programs are going to lose their funding. 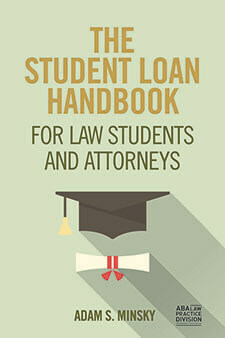 Student loan borrowers can request a forbearance to temporarily postpone their payments. This can effectively cancel out any bill due, but can also lead to significant interest consequences due to ongoing accrual and capitalization. Borrowers also generally cannot make progress towards loan forgiveness while their loans are in a forbearance. 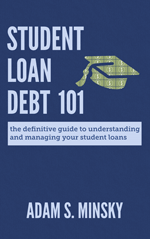 Federal student loan borrowers can change their repayment plan to an income-driven plan. Those experiencing a reduction in income may be able to get a lower payment than a regular Standard repayment plan. Federal student loan borrowers who are already on an income-driven repayment plan can request a re-calculation of their payments due to changed circumstances. Many borrowers don’t realize that you do not have to wait until your normal annual re-certification to change your income-driven payment; you have a right to request a change at any time, and a reduction in income is a sufficient basis. Borrowers can apply online at https://studentloans.gov/, and you can either print out the completed application and send to your servicer along with new proof of income (such as a pay stub), or you can self-certify that you are currently not earning any income (in which case, no proof of income is required at all). Private student loan borrowers can request a temporary modification to their payments based on reduced income. 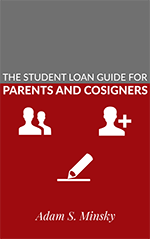 While private student loans are generally far less flexible than their federal counterparts, and your rights and options largely depend on the terms and conditions of the loan contract, many private lenders are willing to work with borrowers for temporary, short-term modifications. Obviously, during times of hardship people must focus on their most pressing needs – housing, food, utilities, medication, utilities. Student loans are unlikely to be at the top of your list when you’re trying to figure out how to manage your expenses on a reduced or non-existent income. But taking a few moments to assess your options and make some changes could go a long way to avoiding the horrors of student loan default.